Most of you know that one of my new year’s “resolutions” is to organize those areas in my home that I’ve ignored over the years. Well, what better way to spend a snow day? I wanted to share my organizing project with you to show you the difference just a few moments can make. The hot glue gun is now in the closet with all other crafting supplies. 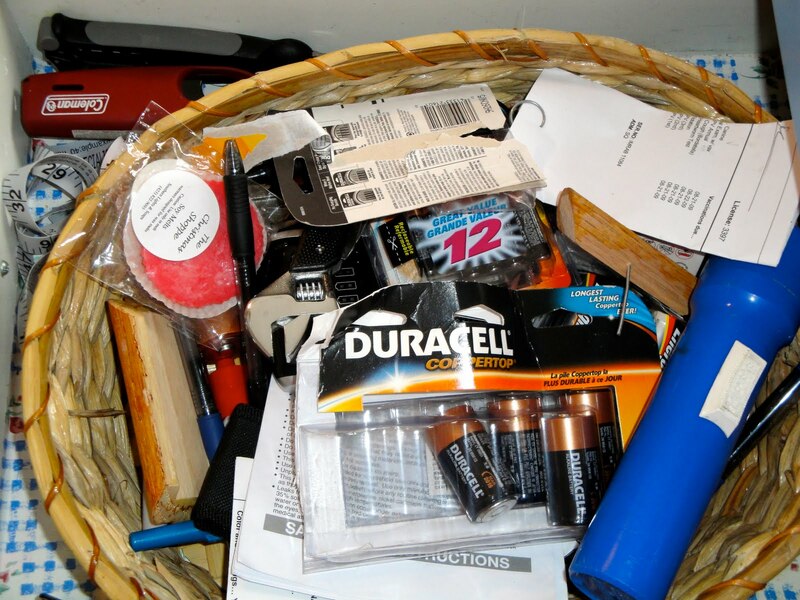 Hand sanitizer and excess batteries were put in the stock pile closet. Tools were put in the garage. 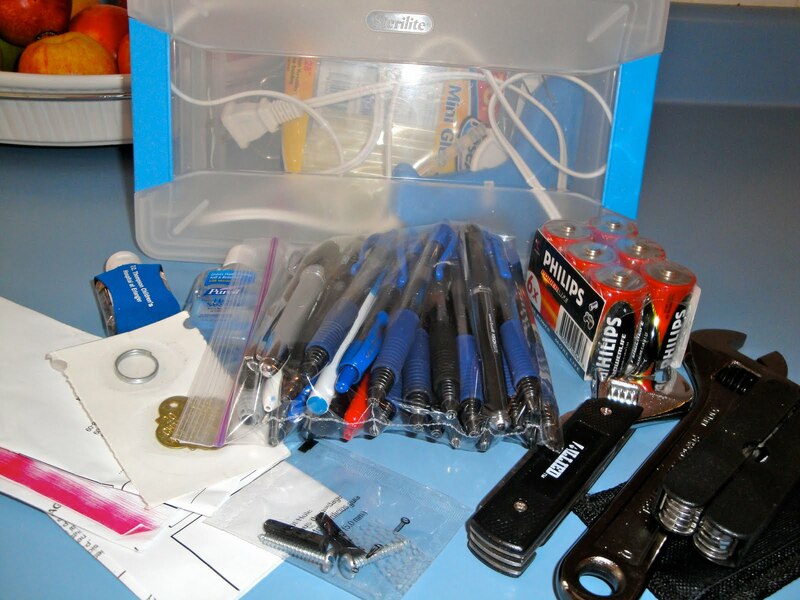 And, the amazing supply of pens is being returned to Mike’s desk at work (where they came from one by one). From start to finish this took about 10 minutes and now if I need a battery I can get to it without digging through a pile of stuff. Okay. 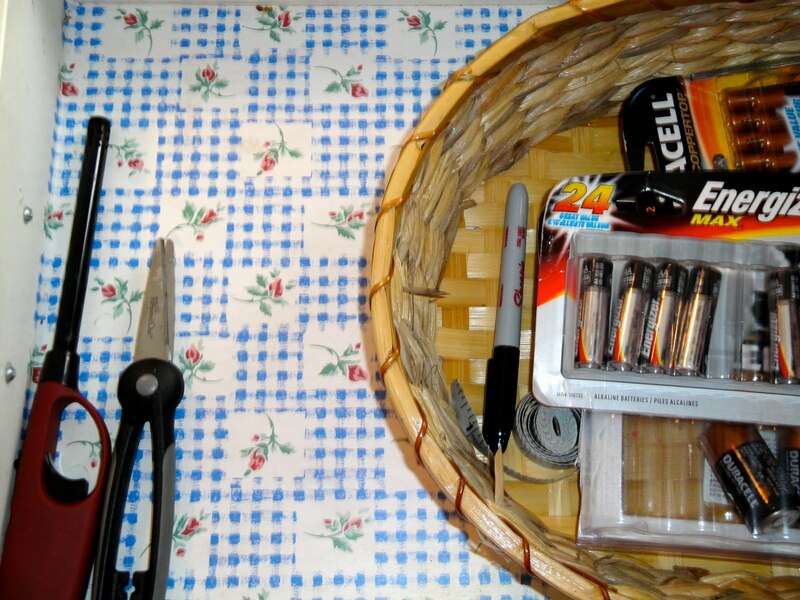 Enough with the organizing; unless of course you are over here organizing my kitchen junk drawer! Looks great and makes me envious of your mad organizing skills.